John Melvin Floro, 70, of Oregon, Ohio passed away on Tuesday, August 28, 2018. He was born on February 6, 1948 in Toledo, Ohio to Jess David and Agnes Floro. 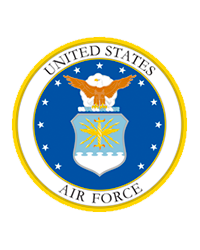 John was a 1966 graduate of Genoa High School and served in the U.S. Air Force. He worked for the Jeep Corporation for many years and was a Eucharistic Minister at St. Charles Hospital. John was an avid football and baseball enthusiast, cheering for Penn State. John also loved animals, especially his dogs. He will be dearly missed. John is survived by his son, Christopher (Lisa) Caldwell; grandchildren, Alex Caldwell and Victoria Caldwell; siblings, Theresa (Colvert) People, Lana (Jim) Aldrich, Mary Younker, Mark (Stephanie) Floro and Jessie (Michael) Hineline and many nieces and nephews. He was preceded in death by his parents. A Celebration of Life will be held at Our Lady of Lourdes in Genoa on Wednesday, September 5, 2018 at 11 a.m. John’s family will greet guests after 10 a.m. Inurnment will follow at Restlawn Memorial Park. Memorial contributions can be made to Toledo Area Humane Society or Our Lady of Lourdes Grotto Committee.